Malcolm il-Parrukkier works at the Lancet Salon, one of the oldest barber shops in Valletta. Found at the foot of St John’s Street, it has been run by Malcolm Fenech’s family for 93 years. Before it was a barber shop, it was a tailor’s shop to which it owes the name ‘Lancet’. Malcolm decided to carry on the family business as both his father and grandfather were both grooming men ever since. His store has a homey feel and is filled with different sounds of men talking, waiting to get their hair cut or their face shaved, and the buzzing sounds from his electric hair clipper which are also featured in the ‘Valletta is My Orchestra’ video. Neat and tidy, the shop is tiled with white tiles and has organised shelves on the walls, stacked with different coloured beauty products for men like a colourful collage of sorts. Large black barber chairs stand prominently in the centre of the shop, while huge wall mirrors reflect the whole store, allowing Malcolm to talk to the men sitting on the black sofa behind him, waiting for their turn. A busy but very friendly man, Malcolm chats to the client in his chair while trimming his hair. 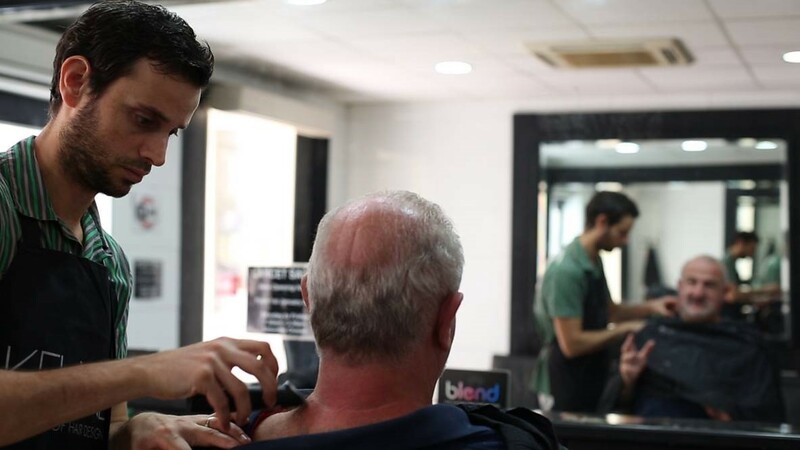 According to him, the best thing about his job is the opportunity to meet new and interesting people who pop into his shop for a quick trim or shave. However, like any other job, it comes with its own share of challenges. Being a barber, Malcolm is on his feet for most of his working day, which is exhausting. His working day is also quite long as he spends around an average 10 hours a day until he finishes all his clients and cleans up. “Even if I don’t get a lot of people in the morning, I’ll still spend that amount of time if people walk in at the last minute,” he says while trimming his client’s hair. He has no shortage of clients; some who simply pop their head through his shop door and ask him if he can fit them in. 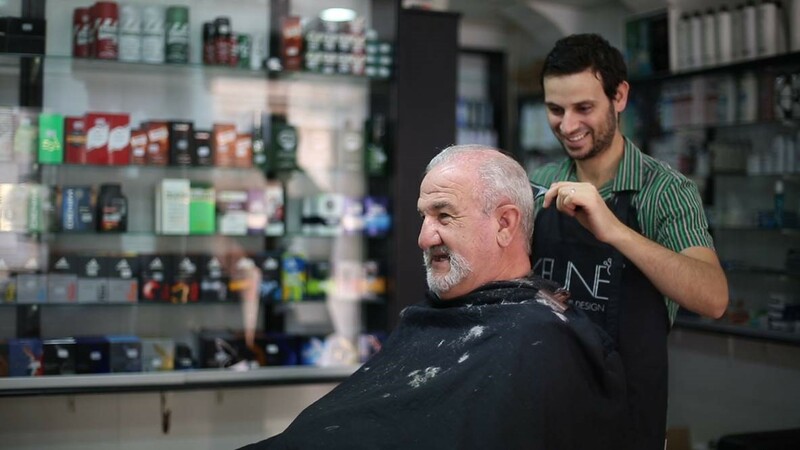 The cacophony of voices and buzzing sounds from his hair clippers and razors that emerge from his shop form part of the soundscape of busy Valletta streets.